This article is a quick background on Fibre Construction. 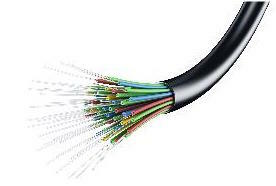 We have been banging on so far about Fibre & Fibre Solutions without spending too much time on fibre construction & physical properties. This article is a quick one to show you what the “ingredients” to a fibre cable are. 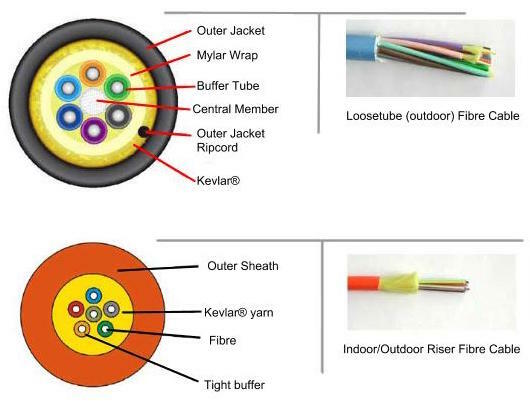 There are a few different kinds of Fibre depending on the application, just like power cable. You have specific cable to be used in indoor environments where the cable will not come under any stress - this is know indoor/outdoor. You then have the other end of the scale where cable can be placed in the harshest of environments and still operate at its designed peak - such as loose tube or armoured fibre. This is physically a little different. Its main features are an outer jacket usually made of strengthened Nylon and the fact that each fibre core has hardened rubber cover. The cable is then filled with a petroleum gel through the centre which pushes out moisture. Because of the composition of the harden nylon sheath, it resists UV. The gel filled core makes the cable moisture proof. Loose tube can usually be buried directly into the ground without the need for conduit. Due to the larger diameter and ruggedised construction, this type of cable has a large bend radius and cannot be used indoors. This is primarily an indoor cable. It has a thin rubber outer covering with a Kevlar yarn (for tensile strength) surrounding each of the fibre cores. The fibre strands have their own cladding around each core.Each Fibre glass core is surrounded by Cladding, this is a light resistant material that helps “bounce” the light signal down the glass core.This is usually a soft rubber material as well. The cable is not waterproof or UV resistant. This usually means if it ventures outdoors it almost always need to be in a conduit. Because it is surrounded by a soft outer rubber cover it is quite flexible. This allows it to used indoors around corners and in/around data racks. As strange as it may sound indoor cable is usually more expensive than its outdoor counterparts due the Kevlar yarn. The only other main points of difference are the colours of the cable. Loose tube fibre is almost always a shiny blue colour. The colour of Indoor/Outdoor fibre is usually determined by the mode of the fibre. AQUA is OM3, Orange or Black is usually OM1, Yellow is usually Single mode (OS1). Have a look at your standard fibre patch leads or preterm, these colours will usually reflect these same characteristics.